Chocolate indulgence in its highest form. Rich and satisfying, yet not too sweet, with melt-in-your-mouth smooth texture. 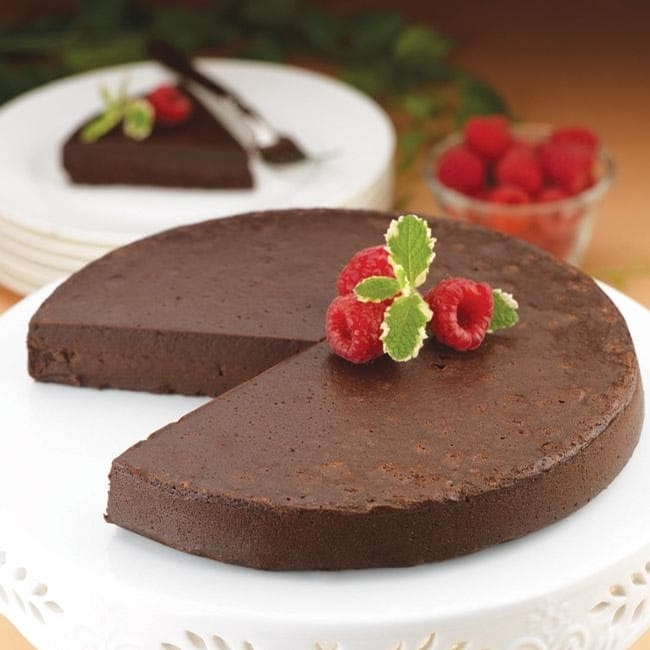 This decadent 8 inch cake can be sliced into up to 16 portions to serve with after dinner coffee. The perfect ending to a fabulous meal.